Almost 34 years ago, I was homeless, broke and nearly broken on the streets of San Francisco. 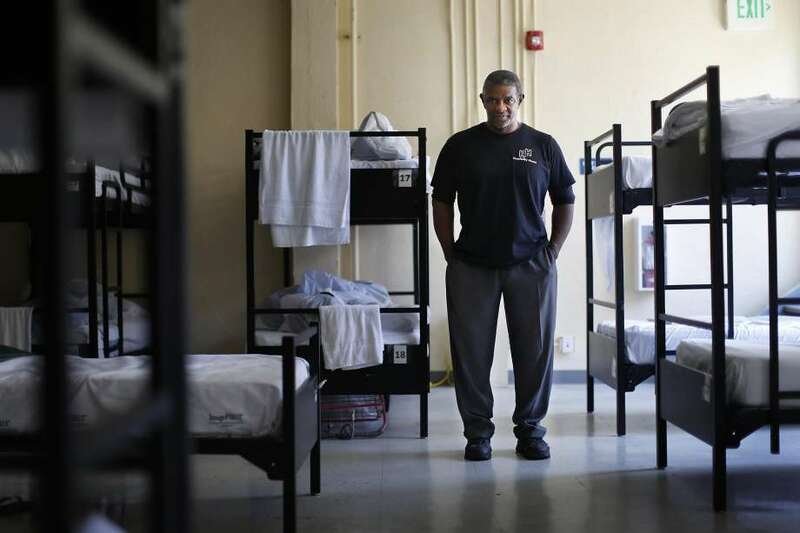 The journey from housed to homeless is shorter than one might think. I’d come to California in the mid-’70s to go to college. I dropped out a couple of years later to care for my mother in Chicago who’d suffered a stroke. I returned to California to go back to school, but ended up dropping out again. I began a series of jobs — a short stint selling vacuum cleaners in Southern California, a longer stint driving a cab on the Peninsula, followed by a job as a runner for a brokerage firm that ended abruptly when the firm merged and sold its building. Bad timing, an unexpected crisis, poor planning, dumb luck — and no savings — and I found myself on the streets, facing the reality that my life’s boulevard had become a cul-de-sac. Thankfully, I’ve never known the struggles of drug addiction. But I have known loneliness. I’ve known what it means to cry yourself to sleep at night. And I’ve known the emptiness from not having a place — any place — to call home. There is an unshakable truth to homelessness: not having — and often trying to forget — the comfort and reassurance that four walls can bring. Belonging somewhere, feeling safe, is an essential part of being human. I found myself longing for solitude, yet fearing it. Wanting people to look at me, to acknowledge me as a human being, yet despising the judgment in their eyes. I’d often return that judgment with an equal measure of condescension: I’d like to know how long you’d last out here, buddy. Human hearts separated by an abyss of misunderstanding. I remember interminable nights sitting for hours in the old Jack in the Box at Seventh and Market streets, carefully nursing a single cup of coffee, avoiding eye contact with the security guard. I remember early mornings, climbing into a truck with six or eight others to deliver advertising circulars in towns like Sebastopol, which seemingly had one house every 10 miles. Some days, I was lucky if I made $5 for 12 hours of work: enough for cigarettes, a $1 pair of gloves and that cup of coffee. Mercifully, the day would end — yet with nightfall, my personal demons returned. Fear. Anger. Tears. I was Alone. In. A. Crowd. What would my mother say if she could have seen me sleeping on the street? Her only son wandering, seemingly lost, the light barely flickering in my eyes? Could I bear the look in her eyes? Walking and sitting. Sitting and walking. Standing in lines. And more lines. In the winter of 1982, my journey of discarded yesterdays somehow brought me to Hospitality House’s men’s shelter. I was grateful beyond words to be in from the cold and desperate for A. Place. To. Be. I’m not sure I could tell you the exact turning point. The long road back to personal redemption happened gradually, first by volunteering at Hospitality House, where I felt valued. Then working part time, being trusted and needed. Then, in January 1984, Hospitality House hired me full time and then, two years later, to run the shelter I used to sleep at. Four years ago, two decades of social justice work brought me back to Hospitality House as a program manager. No more discarded yesterdays. I could never do justice to all those who’ve helped me, nurtured me, mentored me during my long journey back, but I will acknowledge two in particular: The late Leroy Looper and the late Bill Sorro, two gentle giants of indomitable spirit and commitment to justice, who offered me friendship, counsel and human kindness when my soul sorely needed it. I owe them far more than I can ever express. And for more than 30 years, my friend, Paul Boden, a warrior for the ages. Lastly, my wife, Cherie (we first met at Hospitality House), who has loved me simply and deeply and without end, through laughter and heartache, for more than 25 years. My mother turned 95 in April. She has lived long enough to see the light return to her son’s eyes. To those who reached out to me those many seasons ago, who made eye contact, who cared, even those who could not look or touch without judgment, I want to say thank you. I didn’t always think it, much less say it, then but I say it now. And for those brave souls still searching for a place to be, a word from a fellow wanderer: Your journey matters. I didn’t always believe that. I do now. As we build for tomorrow today, let us not discard our yesterdays. Joe Wilson was the former Community Building Program manager at Hospitality House, a community center in San Francisco’s Tenderloin neighborhood for nearly 50 years. As of May 2017, Joe now serves as the Executive Director. Hospitality House is a progressive, community-based organization located in San Francisco’s Tenderloin Neighborhood, Sixth Street Corridor, and Mid-Market Area that provides opportunities and resources for personal growth and self-determination to homeless people and neighborhood residents. Our mission is to build community strength by advocating policies and rendering services which foster self-sufficiency and cultural enrichment. The organization is driven by our core values of: Community Power, the belief that people experiencing the problem will come up with the best solutions; Resilience, anybody can change their lives; Dignity, that all people have equal value and are worthy of honor and respect; Mutual Respect, honoring the dignity of all people is both a right and responsibility; and Self-Determination, that people have the right to make choices about how to live their lives. Our organizational strategies include a commitment to leadership development and peer staffing, low-threshold access to programs, the harm reduction model, and systems change through community organizing and coalition building. We encourage participation from our constituents on all levels of the organization. Sign up to receive Hospitality House news!